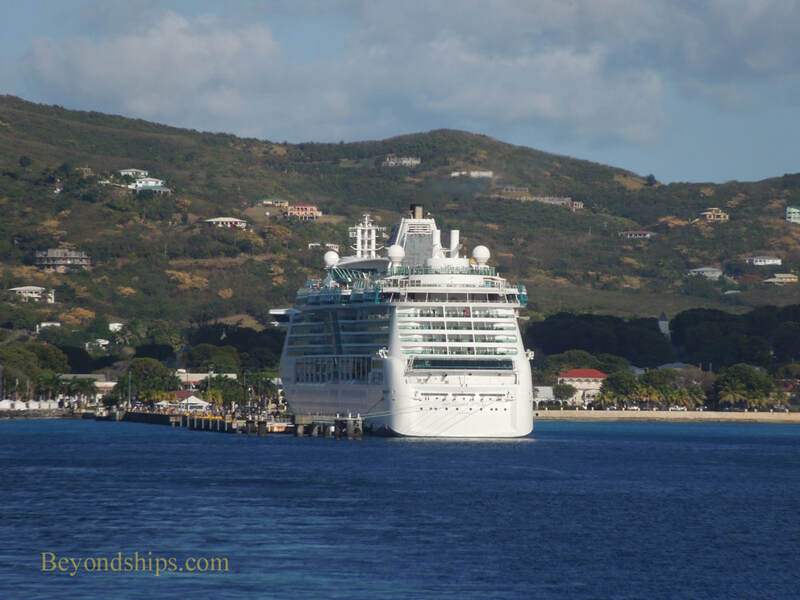 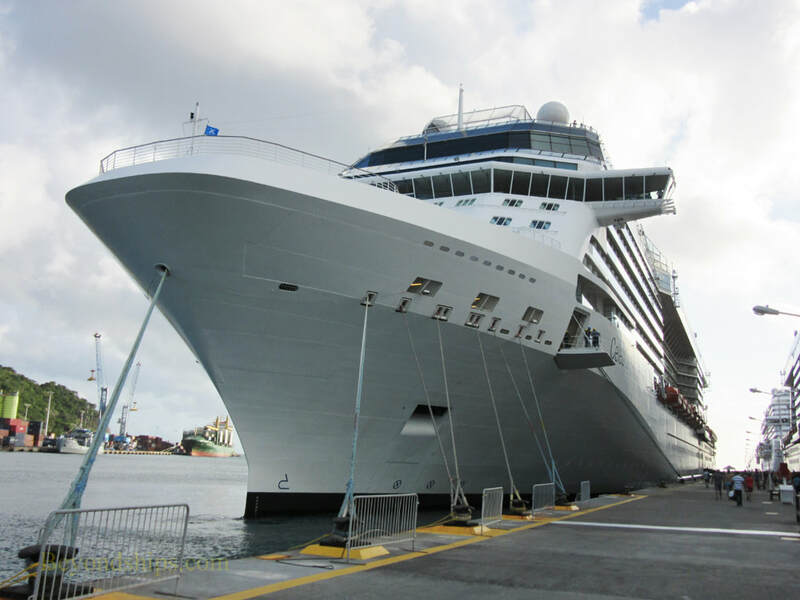 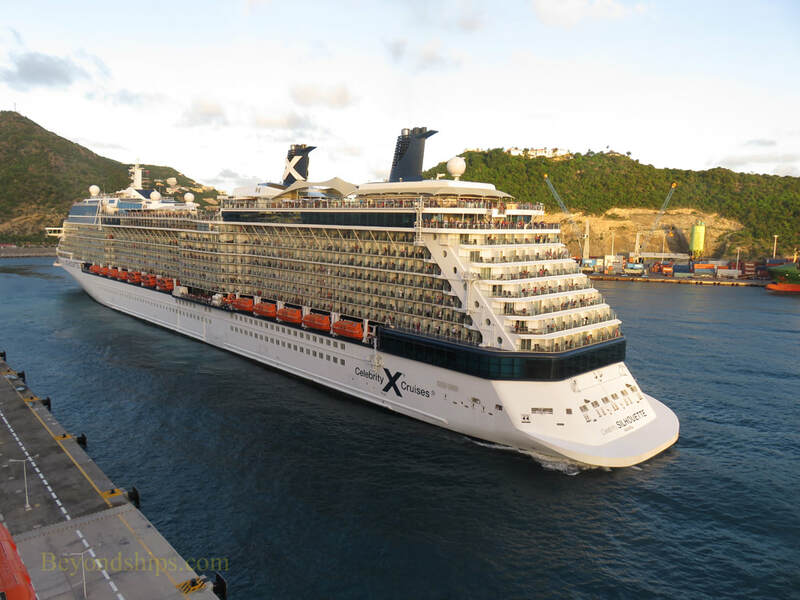 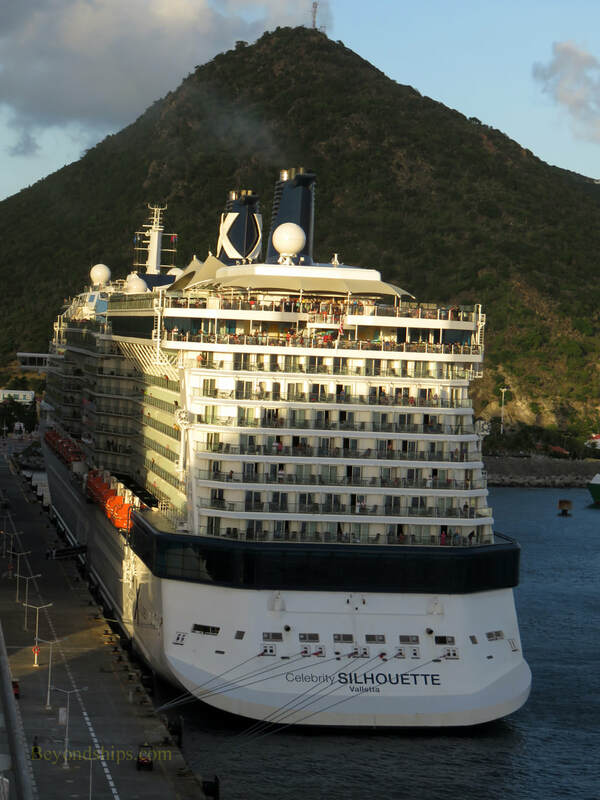 A winter's day and Celebrity Silhouette is sunning herself at the cruise port outside Phillipsburg in St. Maarten. 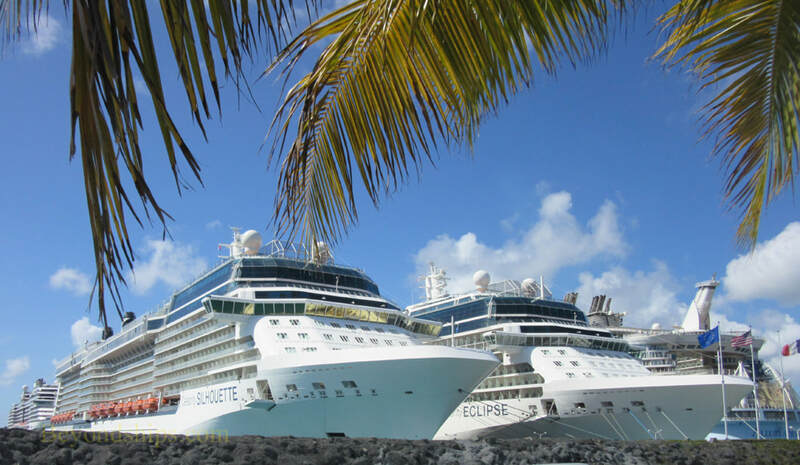 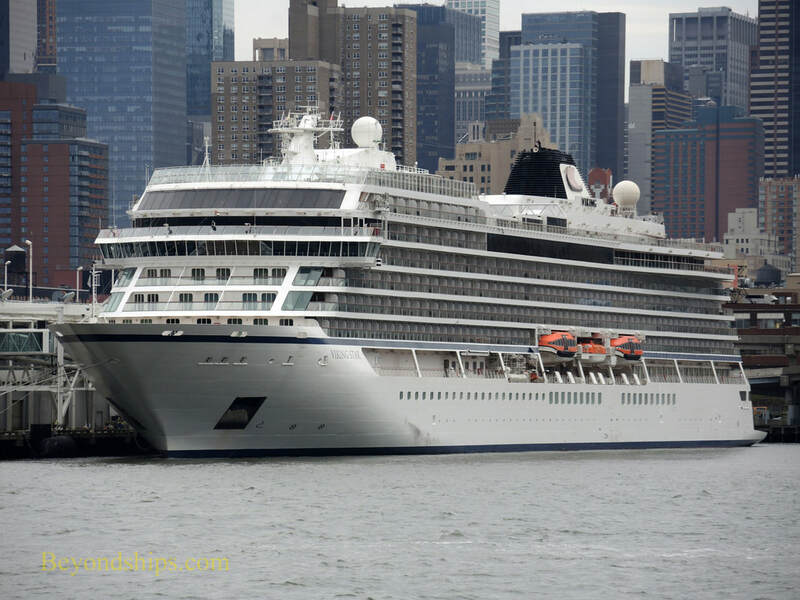 Next to her on this day is her sister Celebrity Eclipse. 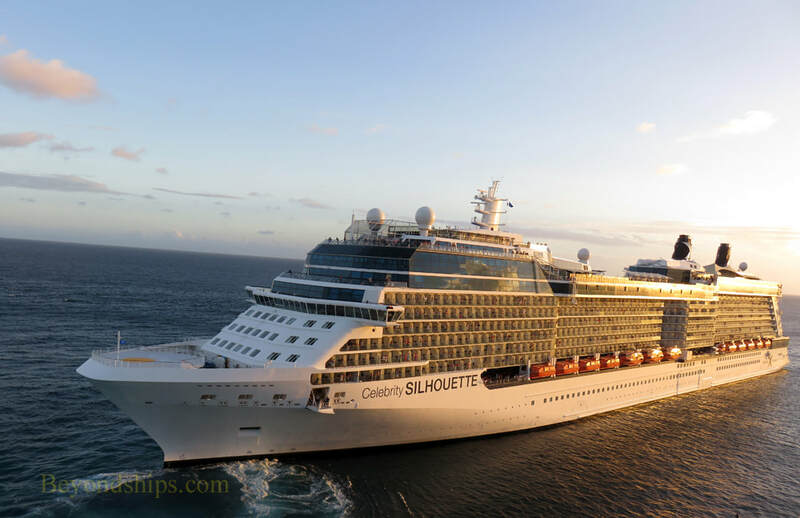 As the sun begins to set, Silhouette pushes away from the pier and backs out of the berth. 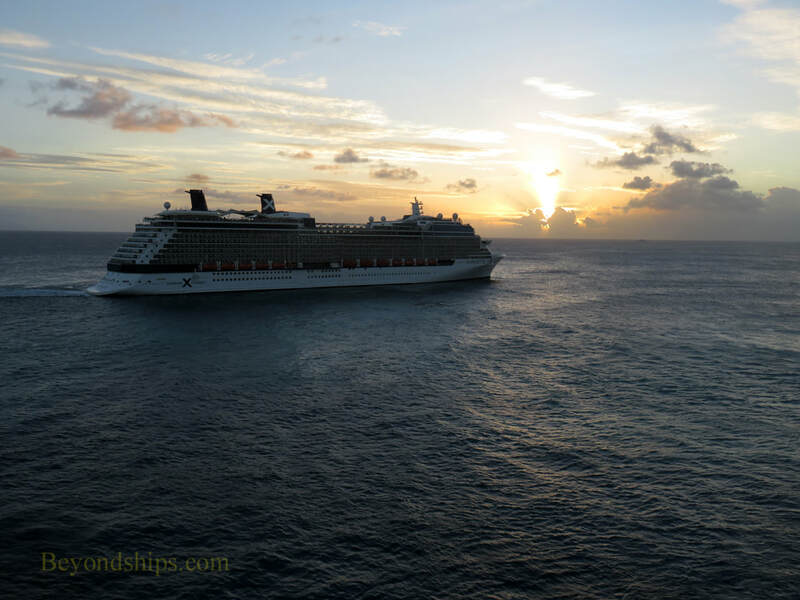 Once past the end of the pier, Silhouette executes a sweeping turn and sails off into the sunset.